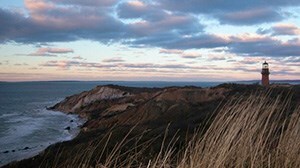 The island of Martha’s Vineyard is a wonderful place to visit during the fall. The weather is perfect for hiking and biking, and enjoying a festival or two! 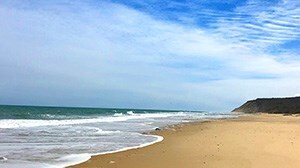 You can rent a bike at Martha’s Bike Rental (located in Edgartown, but they will deliver anywhere on the island) and pedal the beautiful coastline out to the red clay cliffs of Aquinnah. Or you can wheel around the many shops and restaurants the island has to offer. Grab some comfy walking shoes and hike four miles of trails in the Felix Neck Wildlife Sanctuary. While you’re there, visit their observation building, nature center, discovery room and take part in their interactive natural history programs for children and adults. Or visit the Trustees of Reservations properties on Chappaquiddick and Long Point. Another hidden gem is one of the Sheriff’s Meadow Foundation’s and Cedar Tree Neck Sanctuary in West Tisbury. After hiking and biking, you’re sure to have worked up an appetite! 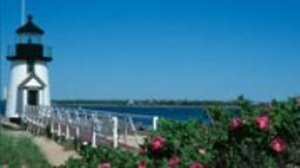 Enjoy four days and four nights of delicious food and drink at Martha’s Vineyard Food & Wine Festival, October 17th to the 21st. 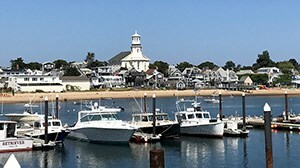 Don’t miss out on all the fun and beauty of Martha’s Vineyard this time of year—there’s so much to see and do!